This is the first of a two-part series on the State of Edge Computing. Part One looks at the future scale of edge infrastructure, and the challenges in defining and funding its different layers. Part Two will explore the curation and analysis of edge data, and how it will influence industry business models and the design and placement of infrastructure. Edge computing will have a transformational impact on American society and business, enabling new technologies and services across instant wireless connectivity. On that point, there is widespread agreement. But first, edge computing must navigate a maze of confusion and dueling definitions, fueled in part by the diverse nature of edge infrastructure and business models. The good news: major stakeholders in edge computing are taking steps to clarify the various infrastructure layers and use cases, which is a key step in laying the groundwork for success. Edge computing is not a single “right” solution, but rather a number of technologies that will work together. There will be a range of niches where businesses can specialize and succeed. But challenges remain. The timing remains unclear on when the business demand for the different flavors of edge infrastructure will materialize, complicating decisions on how and when to fund these projects. It’s been six months since our last deep dive into the State of Edge Computing. 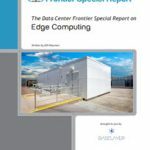 During that time, Data Center Frontier has held a series of discussions with leading players in the edge computing sector, seeking to provide readers with clarity on a trend that is both buzzy and fuzzy. 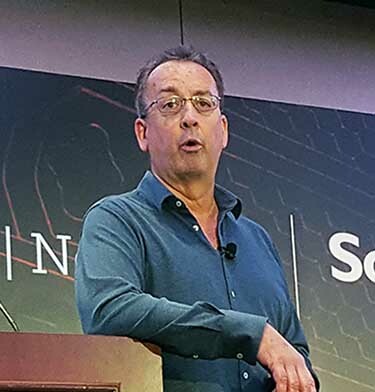 Our take: There has been significant progress in clarifying the layers of edge computing and how they can enable new businesses. The transition to edge computing will be an enormous undertaking. It will take years, cost billions and billions of dollars, and ultimately become ubiquitous in scale. “What we’re trying to do is remake the world, said Josh Snowhorn, Chief Strategy Officer at EdgeMicro, a provider of edge colocation services. It’s a task that includes the telecom infrastructure for the rollout of the new low-latency 5G wireless network, as well as data center infrastructure to house servers and storage hardware for applications – as well as the analytics to enable a new layer of intelligent, real-time services. “This is the first time a network has been rebuilt since the Internet,” said Cliff Kane, founder and Co-CEO of Cleareon Fiber Networks. “You’re going to need a lot of (edge sites), all over the place, deployed quickly. There will be millions and millions of small cell sites. All that fiber has to go back to the edge data center. You’ll need to reroute the traffic back to the constituency it serves. “We believe this is the future, and want to be the plumbers and landlords for this infrastructure,” said Kane. For edge computing to be deployed everywhere at scale, it will need to be compact, cheaper and take the network to new places. 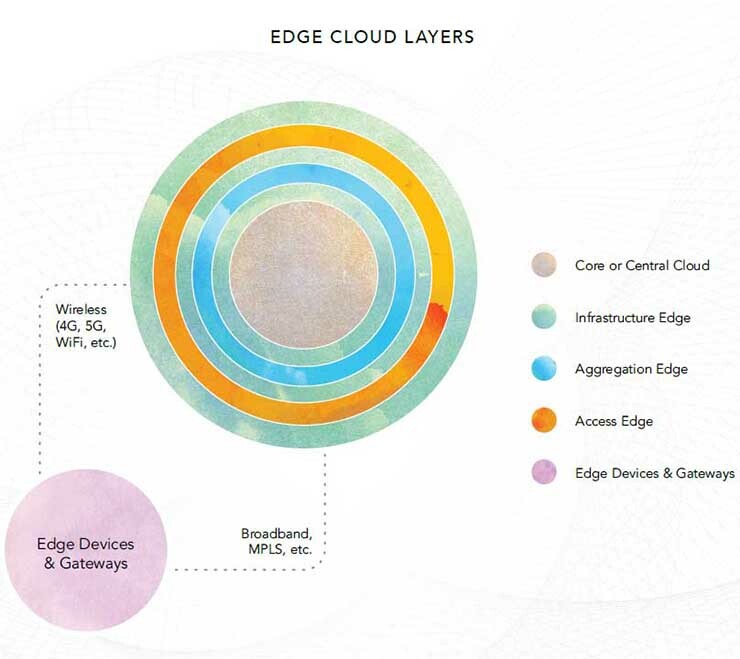 The key components of edge computing include mobile devices, wireless networks, telecom towers, small cells and distributed antenna systems (DAS) as well as data centers and cloud platforms. It’s a universe that transcends traditional business models built on specialization. 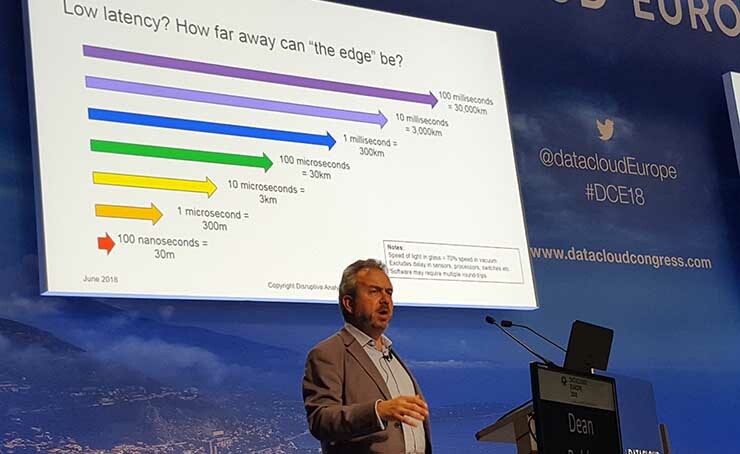 That’s why there’s so much confusion about edge computing, according to Dean Bubley, a futurist at Disruptive Analysis, who chaired the edge computing track at Datacloud Europe in Monaco. “The data center industry thinks edge is a module,” said Bubley. “The small cell industry thinks edge is a small cell. Device makers think analytics will run on sensors. As with cloud computing, it will take time for the market to grasp a holistic understanding of edge and its many layers. Meanwhile, some vendors and analysts offer visions that focus on a partial picture or specific solution. Industry veterans believe there is progress being made, due in part to the scope of the business opportunity. Rob Nash-Boulden, Black & Veatch. In an early example of this, a group of stakeholders has teamed with The Linux Foundation to create the Open Glossary of Edge Computing, along with a companion report that outlines broad principles of edge computing. Participants include VaporIO, Packet, ARM Holdings, Ericsson and Rafay Systems. 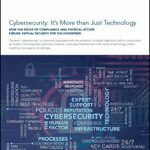 In a parallel effort, Vertiv has spent more than a year developing an overview of edge use cases, summarized in a report (Edge Archetypes) that outlines its definition the layers of edge architecture. 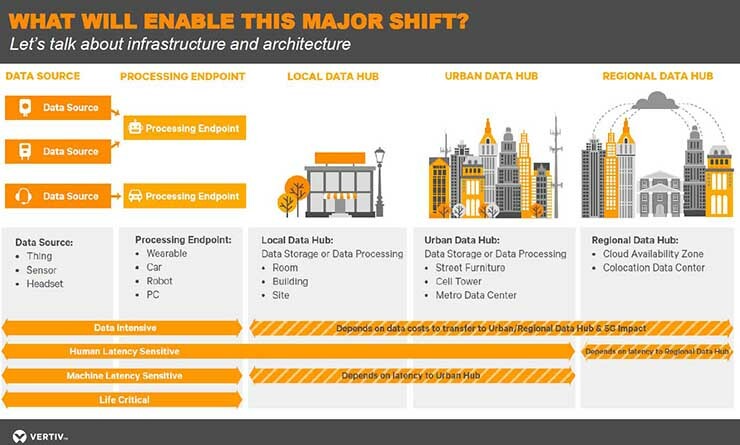 “As edge computing continues to evolve and expand, our goal is to bring clarity and simplicity to the critical infrastructure required to support the future of edge computing,” said Martin Olsen, vice president, global edge and integrated solutions at Vertiv. Urban Data Hubs: Data storage or processing at a cell tower, metro data center or event street furniture. Compute will exist on both sides, working in coordination with the centralized cloud. 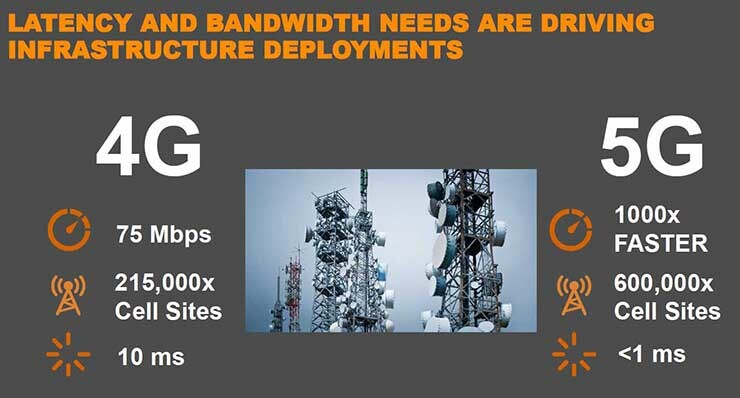 Both the Vertiv and Linux Foundation reports outline the importance of 5G wireless as a foundation of edge computing. Wireless carriers will require edge infrastructure to deploy 5G technology, making them a key customer for edge infrastructure providers. Once it is available, ultra-fast 5G connectivity will enable new services that will create demand for edge capacity. How to Pay for Edge Infrastructure? This revolution won’t be cheap. Some executives predict the buildout of edge computing will pressure the economics of data infrastructure. “We fundamentally have to come up with new ways to run things, or there’s no way we can afford this,” said Jim Fletcher, a strategy partner at Momenta Partners, on a panel at the DCD-Edge event in New York. The 5G infrastructure will be the “tip of the spear” for edge infrastructure to follow. Thus, the geography of the 5G networks and associated business revenue will guide much of the early investment. “Five years ago, Netflix was pretty much destroying the Internet,” said Lawson-Shanks. “Most of Netflix lived in Amazon, in three or four places around the world. By moving that content closer” a better solution was created. A major part of that solution was the EdgeConneX network of 24 regional data centers, which provided local caching of all that Netflix content for network and cable operators, who are among the company’s anchor tenants and investors. As new technologies emerge, driving demand for local storage, the economics of edge will gradually become more compelling, says Lawson-Shanks. And that will mean data centers in new places, which has been a core thesis of Data Center Frontier. “There will be data centers in these new places, but they may be built and powered very differently than the server farms of Silicon Valley and Northern Virginia,” we wrote upon our launch in June 2015. As edge computing takes shape, we are approaching the brink of a new phase for America’s Internet infrastructure. COMING TUESDAY: A deep dive into the curation and analysis of edge data, and how it will influence industry business models and the design and placement of infrastructure.